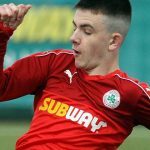 Cliftonville Football Club » Way to Joe! 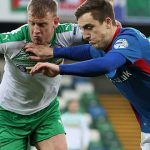 Joe Gormley has been nominated for Ulster Footballer of the Year. 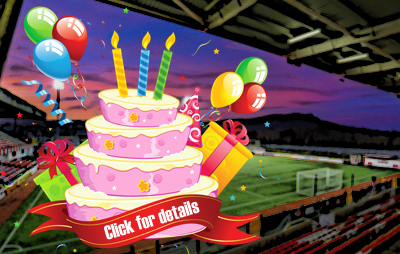 The striker – who won the award in 2014 – has been shortlisted alongside Coleraine trio Chris Johns, Jamie McGonigle and Stephen O’Donnell, plus Crusaders pair Billy Joe Burns and Gavin Whyte. Gormley’s double against the Crues last Saturday and midweek winner against Linfield took his tally to 25 goals for the season and you will soon be able to vote for the Reds frontman when polling for the Ulster Footballer of the Year award begins on the Cool FM website. 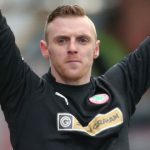 The 28-year-old became the sixth Cliftonville player to take the accolade when he assumed the mantle from Solitude team mate Liam Boyce four seasons ago. The Club’s all-time top scorer Kevin McGarry was the first ever winner of the crown in 1951, with Bobby Carlisle (1984), Marty Tabb (1998) and Chris Scannell (2009) completing the Reds’ representation on the roll of honour.